A work of memoir, history, and a call to action, In Search of a Better World, the 2017 CBC Massey Lecture, is a powerful and essential work on the major human rights struggles of our times. In February of 2017, Amnesty International released their Annual Report for 2016 to 2017, concluding that the “us versus them” rhetoric increasingly employed by politicians is endangering human rights the world over. 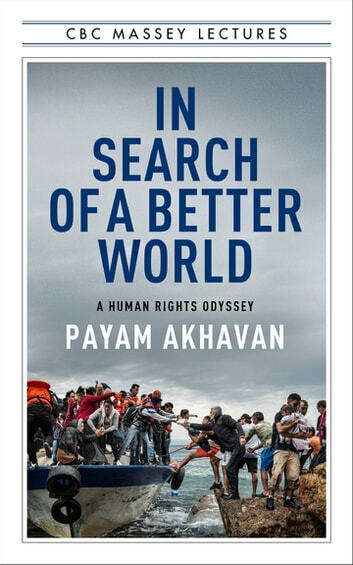 Renowned UN prosecutor and human rights scholar Payam Akhavan has encountered the grim realities of contemporary genocide throughout his life and career. He argues that deceptive utopias, political cynicism, and public apathy have given rise to major human rights abuses: from the religious persecution of Iranian Bahá’ís that shaped his personal life, to the horrors of ethnic cleansing in Yugoslavia, the genocide in Rwanda, and the rise of contemporary phenomena such as the Islamic State. But he also reflects on the inspiring resilience of the human spirit and the reality of our inextricable interdependence to liberate us, whether from hateful ideologies that deny the humanity of others or an empty consumerist culture that worships greed and self-indulgence. 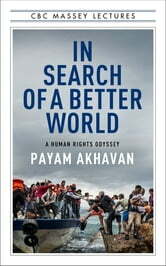 A timely, essential, and passionate work of memoir and history, In Search of a Better World is a tour de force by an internationally renowned human rights lawyer.